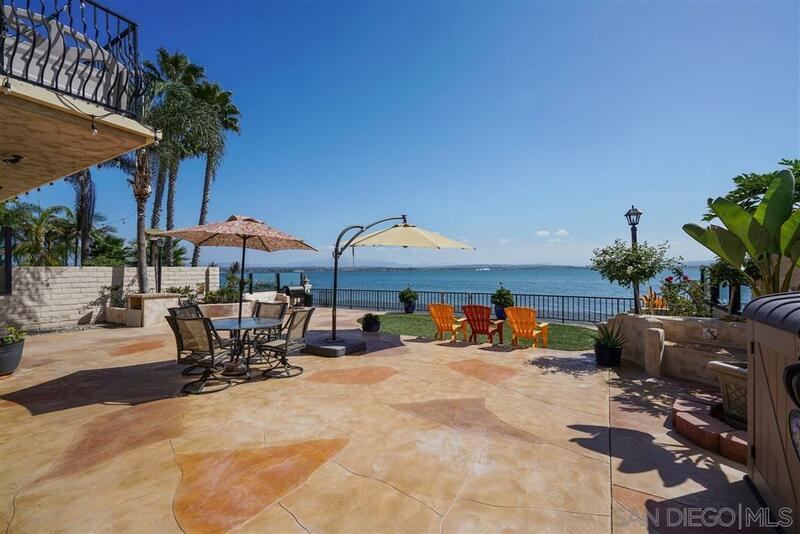 This property has some of the best views in all of SD County! Its 6,500 Sq Ft lot has 52' of sandy beach on the bay. Enjoy complete privacy with spectacular sunrises in the mornings and the privilege of enjoying views of the moon unlike many other places. Homes on this South facing side of Spinnaker are rarely on the market, do not miss this opportunity as this home is the largest model and was remodeled and extended. It's master bedroom had a large balcony added with amazing views and a very private spa!, This property features; Ample private entryway with fountain, formal entry foyer, 1st Floor Full Bedroom with En Suite Bathroom, Powder Room, remodeled and extended kitchen wrapped in leathered fusion granite, 6' La Cantina folding windows, Viking Professional 48" 8 burner stove, Viking Professional Dual Oven, Thermador Professional Convection / Microwave, Thermador Professional Refrigerator, Living Room with 13' La Cantina Folding Doors, Dining Room Floor to Ceiling Window, Master Bedroom with Floor to Ceiling Window, Extended Balcony with Private Spa amazing views, resurfaced back yard with LifeDeck Waterproof Decking!